The Beaver Moon shining bright through the trees at the Stone House. This entry was posted in Ozarks, Photography and tagged Full Moon, November, Olympus, Olympus E-M5, Ozarks, photography by artsifrtsy. Bookmark the permalink. Thank you! I forget that the lights of the city block out so much. Living a few miles from town I can see so many stars. Arresting and beautiful shot, wowza! I too in all my ignorance wonder why it is called a Beaver Moon??? Native Americans once set beaver traps by the light of the first full moon in November when beavers are active. LOL – glad to know you are on top of useful info like this. He tells me important things I need to know, like when to chop down trees so the stumps will rot and other info that is useful here in suburbia. HA! That’s pretty neat actually. I was talking with a friend on FB last night who is wintering in Mexico (poor thing) – we were all seeing the same moon last night. That stump thing – I want the details. I wonder if your dad knows about fat wood. Wow, this has got to be one of favourites! Thanks Dianna – I love how the light of the full moon lights up the whole mountainside. I got some sharp shots after the haze went away, but they pretty much look like every other moon shot I’ve taken. It’s beautiful! May I ask why it’s called a Beaver Moon? The first full moon in November is the time when Native Americans would set beaver traps. 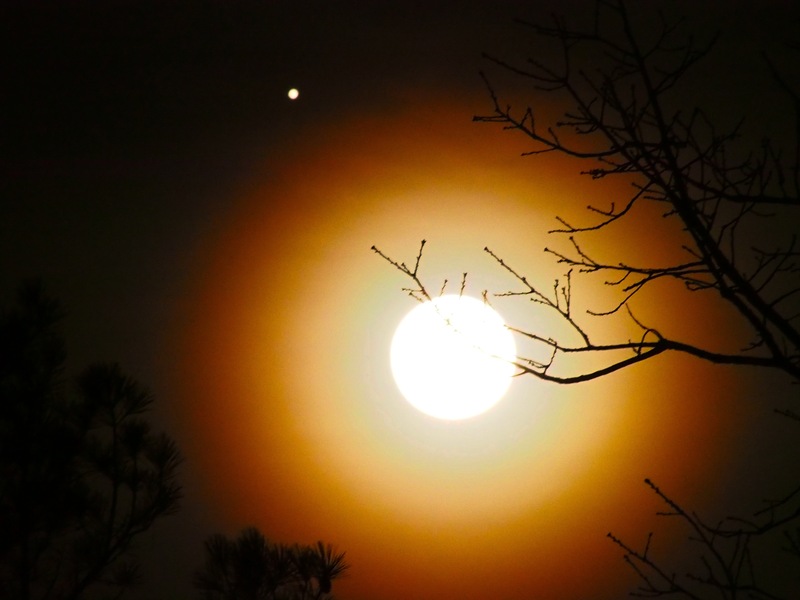 Love it….a perfect full moon tonite….and the lovely Jupiter, too…. It brought to my mind the SS song from when I was little….”It took Him just a week to make the moon and the stars, the sun and the earth and jupiter and mars….” 🙂 GREAT shot! Thanks 🙂 – It’s tough with a cell phone for sure. I have to shoot the moon full manual. I managed to get some crater shots just now – it’s almost directly overhead. You will have to share! Awesome. The moon was so bright I knew I wasn’t going to get any detail, so I decided to get the limbs in focus and run with it. The color was odd – there was a light haze. Most of the shots I saw taken locally on FB have some of the orange in them. Love this shot, it’s really different from all the other Beaver Moon shots of the evening, so pretty! Thanks – there was a light haze here tonight and the glare was pretty harsh, I had to try something different. I love it. Just a beauty. Nice shot.